Working with Tim Alpers, father of the famed Eastern Sierra Alpers Trout, we put together a well rounded grain bill comprised of 2-Row Pale, Munich, Victory, Crystal 10 and White Wheat malts to compliment the heavy additions of Cascade, Columbus/Tomahawk/Zues (CTZ), Mt. Hood, and Crystal hops. This beer weighs in around 5.8% ABV with 35 IBUs and a light 6.6 SRM color profile. 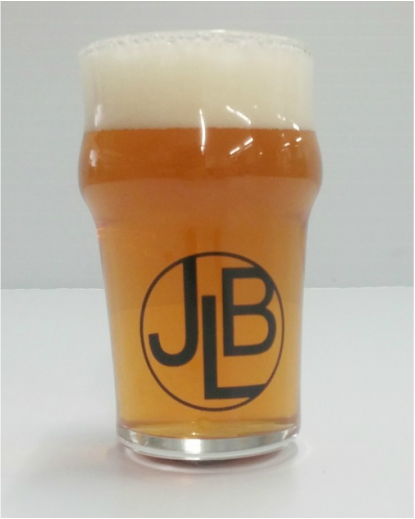 Combined with our phenomenal water, the primarily grain bill provides a nice, slightly creamy mouth feel, with the strong citrus notes compliments of the Cascade and CTZ hops. In the finish hints of spice can be found from the Crystal and Mt. Hood aroma hop additions after the boil during the whirlpooling process. Piney, Tangy, Westcoast Pale.